Excellent ryokan experience with traditional Japanese dinner (in-room) and breakfast. Room had nice water views and staff were fantastic. Located away from main part of town but they have a shuttle bus service. Exceeded our expectations. Excellent locatiin. Friendly staff and great foid. 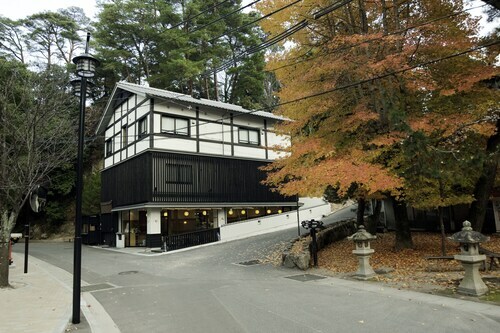 Situated in the historical district, this ryokan is within a 15-minute walk of Omotesando Shopping Arcade and Itsukushima Shrine. Shiraito Falls and Mt. Misen are also within 2 mi (3 km). Hatsukaichi Hiroden-miyajima-guchi Station is 24 minutes by foot. Situated in Hatsukaichi, this ryokan is within a 10-minute walk of Machiya Street, Itsukushima Shrine, and Miyajima Ferry Terminal. Five-Story Pagoda and Senjokaku are also within 5 minutes. 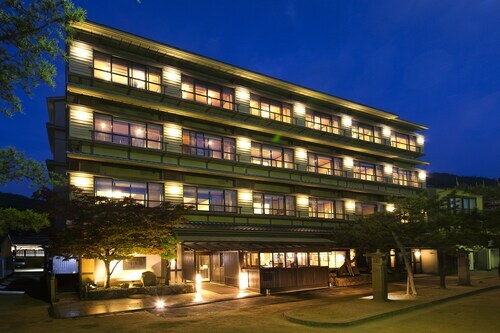 Situated in Hatsukaichi, this ryokan is within 1 mi (2 km) of Momijidani Park, Itsukushima Shrine, and Miyajima Ferry Terminal. 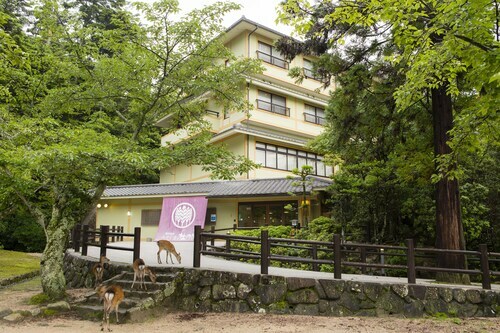 Itsukushima Shrine Treasure Hall and Syokei House are also within 5 minutes. Situated in Hatsukaichi, this ryokan is within a 10-minute walk of Machiya Street, Itsukushima Shrine, and Miyajima Ferry Terminal. Senjokaku and Five-Story Pagoda are also within 5 minutes. Dinner and Breakfast were amazing. An amazing range of foods and dishes were presented beautifully. 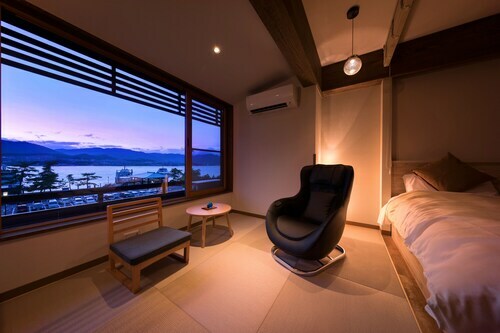 Situated on the boardwalk, this ryokan is within a 10-minute walk of Omotesando Shopping Arcade, Itsukushima Shrine, and Miyajima Ferry Terminal. Machiya Street and Senjokaku are also within 5 minutes. Hatsukaichi Hiroden-miyajima-guchi Station is 29 minutes by foot. 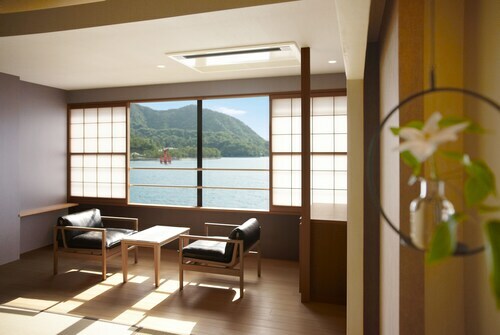 Situated in Hatsukaichi, this ryokan is within a 15-minute walk of Itsukushima Shrine and Miyajima Ferry Terminal. Five-Story Pagoda and Senjokaku are also within 5 minutes. When you travel, you’re all about total immersion. You’re the type that dives right in: learning the language, taking cooking classes, and finding those hole-in-the-wall places that aren’t in the guidebooks. You connect with other travellers, maybe even making friends for life. And you definitely bring home local art and handmade jewellery as your souvenirs. But the most important decision of your perfect holiday is where to stay, because the typical hotel simply won’t do. In Hatsukaichi, your choice is easy: traditional Japanese accommodation known as ryokans are the only way to go for those who seek authenticity. Ryokans come in all shapes and sizes, from the time-honoured classic style to more modernised versions. 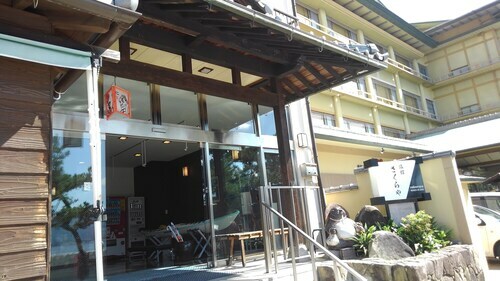 There are onsen ryokan, which have hot spring baths that are a must-try if you really want to experience Japanese culture. 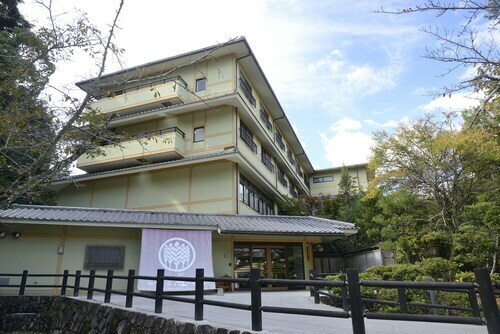 Check out Japanese guest houses in Hatsukaichi to see what’s in store. You could soon be sitting on zabuton and chilling out in the engawa—and if you’re serious about immersion, you might already know what those words mean. If you don’t, bust out that phrasebook and start learning. 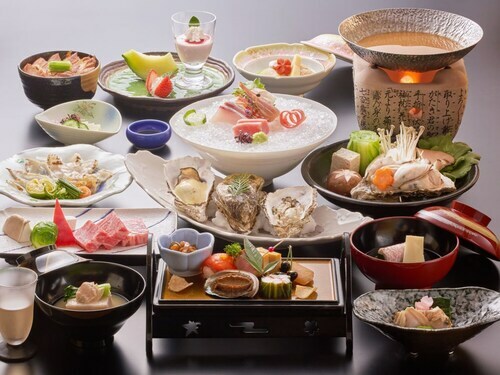 You’ll want to look like a pro at your welcome kaiseki dinner. 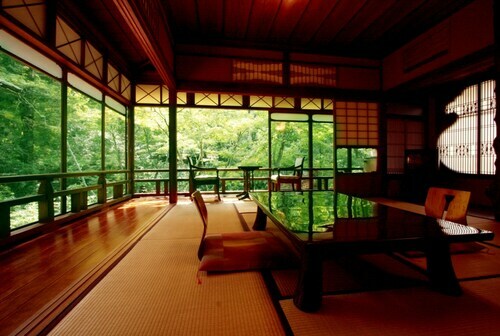 Can you imagine yourself in one of these traditional Japanese hotels? Well, you must have your lucky talisman on you, because you’re about to experience some good fortune. 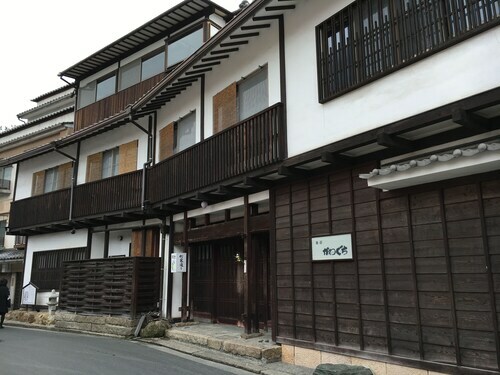 Wotif has great prices on ryokans in Hatsukaichi and throughout Japan, so even if you’re travelling the country, you never have to worry about where you’ll sleep at night. That’s what the locals call true Zen. 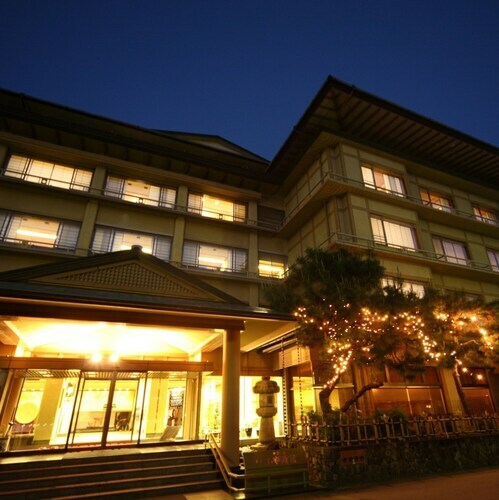 Situated in Hatsukaichi, this hotel is 0.1 mi (0.1 km) from Mt. Misen and within 3 mi (5 km) of Itsukushima Shrine and Miyajima Ferry Terminal. 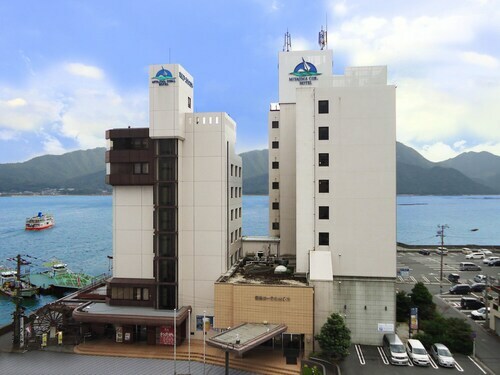 Senjokaku Hall and JR Nishinihon Miyajima Ferry are also within 5 minutes. Hatsukaichi Hiroden-miyajima-guchi Station is only a 2-minute walk and Miyajimaguchi Station is 4 minutes.